Following on from yesterday’s post on my Editorial workflows, this post details how I’ve integrated Editorial — my main iPad word processor, and means of note-taking throughout my day — with Trello, a web-based project management application1. 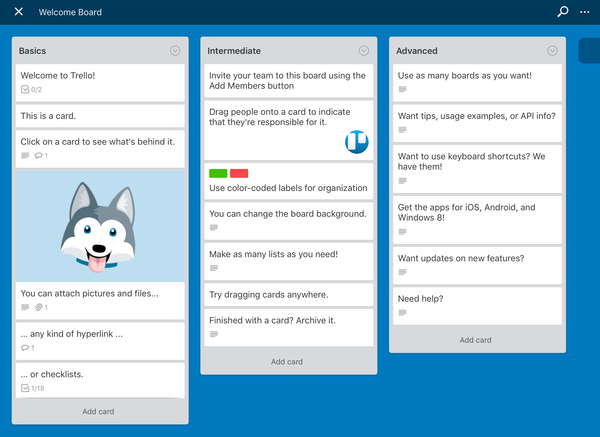 Trello’s system allows users to setup one or many boards, which contain lists, which contain cards. 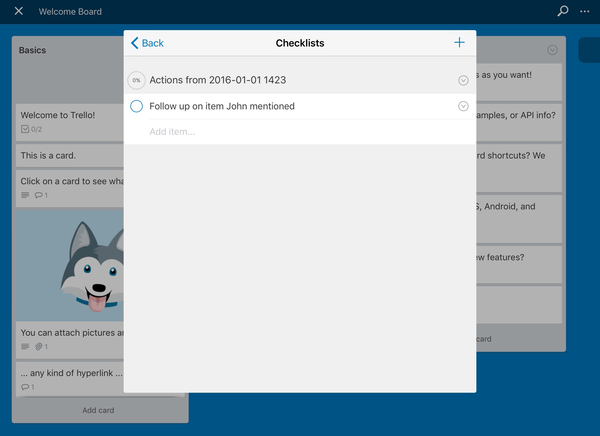 Users can decide how to best set up their boards and lists. For instance, I like to have at least a set of lists called ‘With me’, ‘Pending: others’, and ‘Pending: resources’. This helps to tell with a glance what tasks I have to work on immediately, and which tasks to follow up on with others. 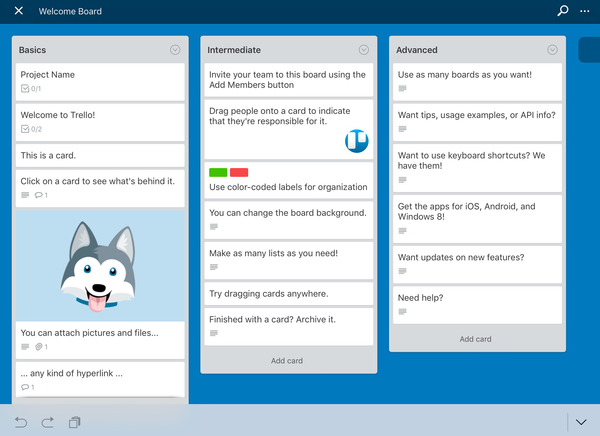 There are many great features of Trello which make it much more appealing than maintaining a set of text documents, but among the most appealing to me are: sharing boards with others; attaching multiple task lists to cards; and attaching files and images to cards for later reference. I started using Trello early last year, as a way to keep track of the big projects I was working on, and remembering all of the smaller tasks I get asked to do from day-to-day. 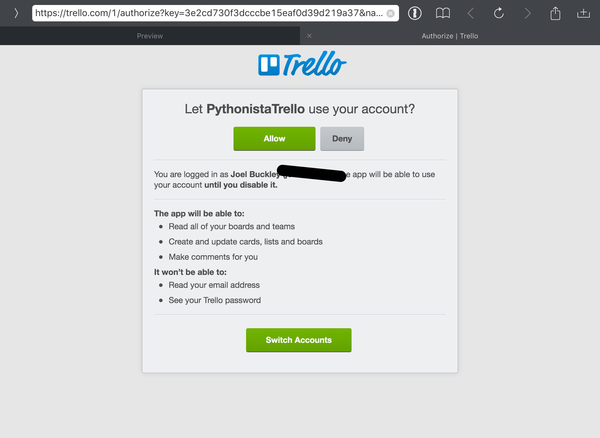 This worked okay for a time, but as the depth of my work increased while the breadth decreased — as I got fewer, larger projects involving more things — I found the way I was using Trello wasn’t working for me. It fell by the wayside. There’s about five minutes of setup. I’ll try to guide you through it. Follow the prompts, and you should be granted an API token — paste this in a text document, we’ll need it in a moment. Then, it’s just a matter of downloading the workflow. You will need to fill out the variables (including the API token you generate moments ago) under “# – Constants”. The API key is provided for you already. You will also need to ensure that your “running notes” document conforms to the structure I’ve outlined here and in my previous post. Upon running, the workflow should now add tasks under the name of the project you’ve entered in your running sheet. All that’s left for you to do, is the item itself.